Usually, sprinklers break from the base. In such a case you will need to replace the PVC pipes. This will involve cutting the cracked or broken section and have it replaced with a new one. Before we dive into the steps that you should follow when doing the repairs yourself, the following tools are required: small shovel and a groove pliers. Let us consider the replacement sprinkler as the Orbit 4 in loaded sprinkler pop-up that has 8 feet of an adjustable nozzle. First, you have to dig out the sprinkler head from the ground using the shovel. Then, using the groove pliers, loosen and remove the broken sprinkler from the riser. Remove the head of the sprinkler from the ground. Ensure that the entire sprinkler is removed. Make sure that no debris is in the hole, place the new head into the hole, where the old one was. Screw it until it’s tightened onto the existing riser while making sure that the replacement is the same size as the sprinkler you want to replace. Using the pliers ascertain that the head has been properly tightened. Flush the line with water, to make sure that debris is not in the line. If the sprinkler head contains a light cap, for example, the Orbit spray head, simply just turn the particular zone on as you flush the line. 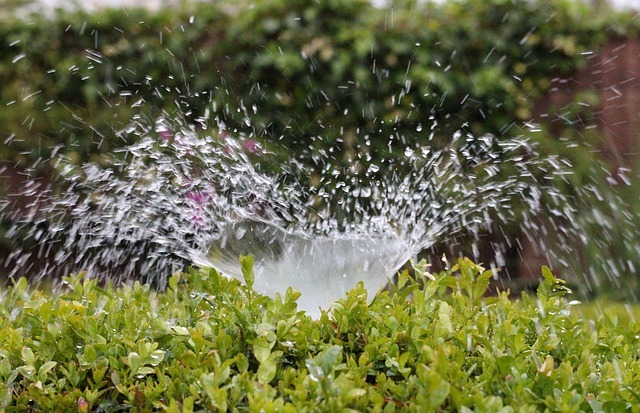 If an installed nozzle for the replacement sprinkler exists, remove the nozzle before flushing. To install the new nozzle, you will have to remove the flush cap. Still, you can install the nozzle that was on the sprinkler head by simply inserting a filter and screwing the nozzle onto the head, before flushing the line. And that’s how you simply replace a sprinkler that is broken. 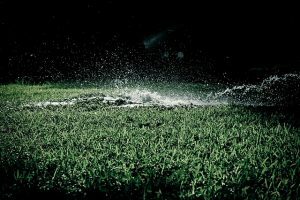 The problem with leaving a broken sprinkler is that it may lead to clogging or it may sustain impact damage, aside from just wasting water, which are all good reasons to do replacements. Also, it is important that you go with the broken sprinkler head to Home Depot or Lowe’s, or any other place that you trust, so that they match your sprinkler with a new one.